This session of SMX West featured easy, actionable tips on how to optimize your video for YouTube. Many of the YouTube tips also translate to other video search engines as well. The moderator was Chris Sherman, and speakers were Jay Akkad of YouTube, Matt Ballek of Resolution Media, Curtis R Curtis of Universal Business Listings, and Jeff Martin of TouchStorm. Focus on the Content. If the content of your video is compelling, that’s the first step to success on YouTube. He shared some good examples: the Evian roller babies, “Numa Numa Guy”, e-Trade baby, and the Meet the Parents video from Toyota. The common thread is that all of these videos are funny and humor does really well on YouTube. Your thumbnail should be attractive & compelling. It shouldn’t be the company logo. Title & description are important. Make sure they are keyword-rich. Tags make or break your search ranking. Add lots of them and don’t be afraid to have too many. Allow embedding across the web. Secret behind getting views – The “related video box”. Understand where your traffic is coming from via YouTube insights. Learn what videos are related to yours & use this information to optimize your video with similar keywords. Why bother optimizing your video? There are 20 hrs of video uploaded every minute. If you don’t optimize your video it will get lost. 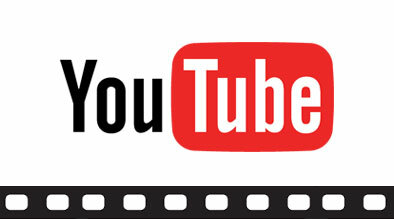 Videos are 50 times more likely than web pages to get to Google’s 1st page of results. Content – create content that has a long shelf live, is needed over & over again and has replay value. Organize your content – create multiple videos around 1 theme – organize with optimized playlists. 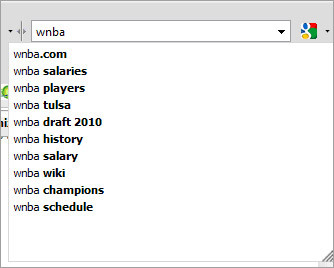 Meta data – Make sure you have keywords in title, tags , descriptions, and captions. Try YouTube promoted videos, which allows you to create a “call to action overlay” with a link to your website or landing page. Linkbuilding – link to your video from other websites & blogs. Your YouTube channel is your home page. Choose a featured video, or default to show a playlist. Customize the look & feel of the channel. Personality – make sure there is someone to write & respond to comments and moderate. Interact with people and defuse negative comments. More ratings & comments will help your video’s rankings, so encourage them. 90% of consumers trust peer recommendations. Recommendations are trusted more than advertising. A good example of the use of video on YouTube is Zappos. Shorter is better – videos don’t need to be long. Keep the videos casual so you can publish on a regular basis. Create a YouTube badge to display your videos on your website. 45% of videos are found by searching on video search engines, not on Google. The final presenter was Jeff Martin of TouchStorm, with tactics for maximizing your views & interaction with your videos on YouTube. How to use your YouTube channel? Treat it like a Landing page – guide your user to do what you want them to do. Direct their attention & actions by using playlists to direct attention to certain videos. Bulletins – write bulletins to communicate with friends & subscribers. Playlists appear in YouTube search results, so optimize your playlist just like a video. Put keywords in the playlist title, description & tags and use some of the same keywords as your videos. In conclusion, making use of all of the optimization opportunities in YouTube are essential, but no amount of optimization will work unless you have compelling content to begin with. Also, video optimization isn’t a one-time thing. Companies should consistently create new videos & upload them to YouTube, and then look at their video analytics to find out how & why people are viewing their videos.